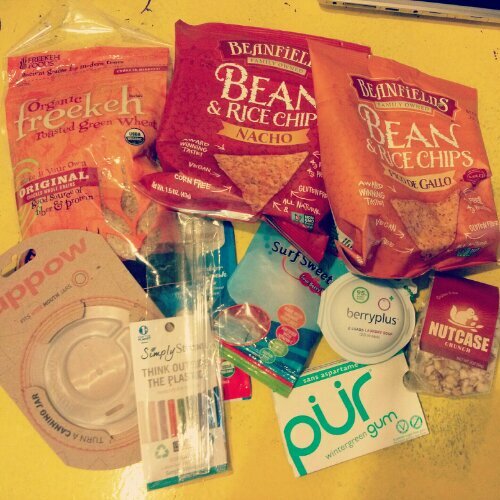 This box included 2 bags of Beansfield’s Bean and Rice chips in Nacho and Pico de Gallo flavors. They were both incredibly good and the nacho were definitely our favorite. 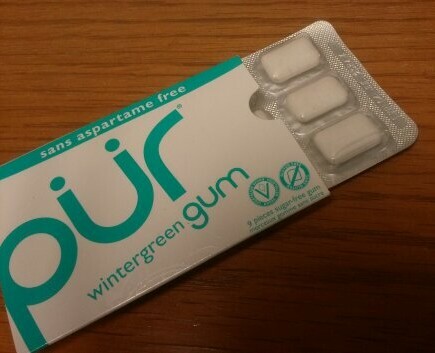 The PUR gum was good, though the initial candy flavor dissipates rapidly, but you are then left with a subtle mintiness. I can only chew gum for a few minutes at a time (usually after a pungent meal) without getting a headache, so I’m not sure about the longevity of it’s flavor past that point. It is nice that it’s aspartame free though! There was a Cuppow lid included to make a canning jar into an on-the-go drinking vessel, and a Simply Straws small straw included in the box too. I really like the idea of the lid, but I actually don’t own any canning jars, so it’s not something that I can use at the moment. I will try to procure one soon though, and update on it. I’m really over using my plastic and stainless water bottles because they always leave a taste on my water, so glass seems like the best solution ever! Update: Figured out what to do with my straw! It’s a short size, but it’s perfect for sipping ginger ale out of my beat up cheshire cat mug when I’m feeling a bit under the weather! I am a fan of the reusable straw, as I already use a giant purple metal slurpee straw for my green smoothies, so this is a nice addition. 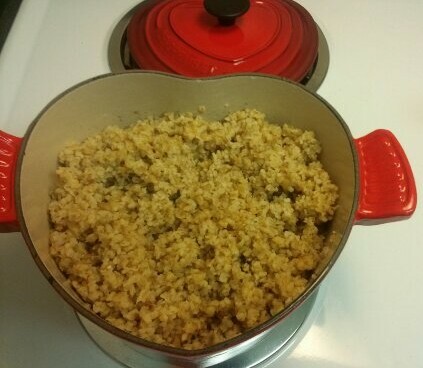 The Freekeh was roasted green wheat. It cooked in 25 minutes, and was a nice, chewy grain reminiscent of sprouted grain bread. It made the house smell good, and paired well with some black beans. I haven’t used the BerryPlus laundry detergent yet. It’s made from soapberries, and I keep forgetting to use it! I normally use scent and dye free detergent and fabric softener, so I’ll get back to you on this when I use it. It would be a nice alternative to conventional chemically products. Lastly is the Nutcase Crunch which I’ve been saving to sprinkle on something nice. It’s made up of almonds, pecans, unsweetened coconut and pine nuts (yay! no cashews!) so I know it will be good as a topping on a nice raw fruit crumble.